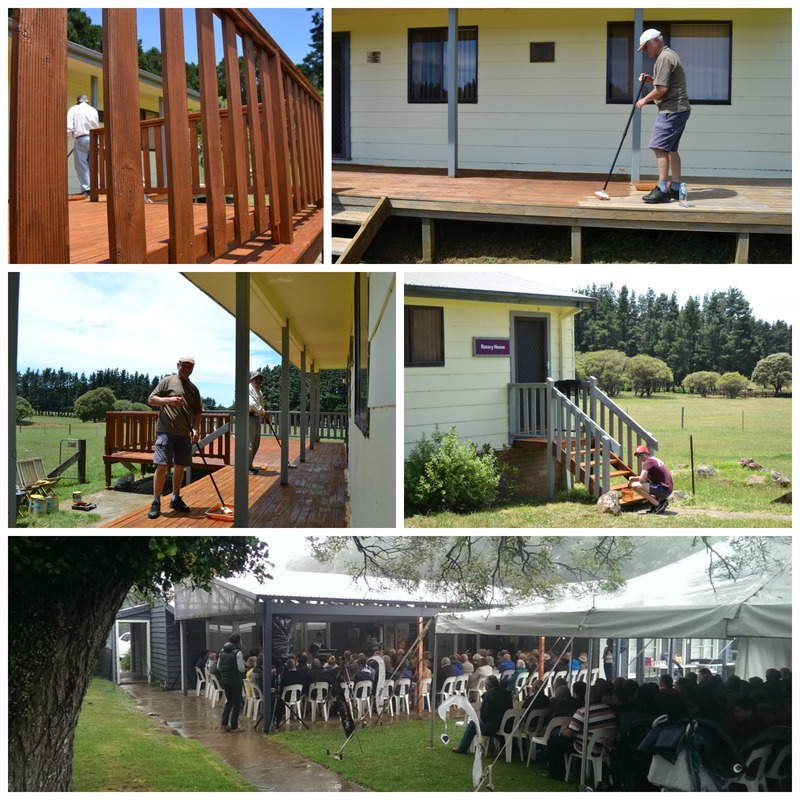 On the 24th November & 13th December Richard Krohn and Derek White, with a little help from Lyndall and Aiden McGrath, cleaned and re-stained the deck at Rotary House, Triple Care Farm, Robertson. The hot weather on the 13th made for perfect drying weather and two coats of stain were applied in record time. Around 400 people turned up for the Graduation Day at Triple Care Farm on the 15th December. There were approximately 30 “graduates” (those who had achieved agreed goals during their stay at the Farm) in attendance out of the 52 who had achieved this status over the past year. These included a very talented young girl who sang a couple of self composed songs for the assembled masses. It was a very wet day so they did well to get through the proceedings (including a BBQ lunch) without mishap. The planned tours of the new rehab centre and the Farm facilities were cancelled on OH&S grounds however. This entry was posted in Uncategorized by Lyndall McGrath. Bookmark the permalink.